Hewlett Packard Enterprise (HPE) is continuing plans to move enterprise organisation’s from the ‘edge-to-cloud’ through the release of Edgeline Converged Edge System solutions. According to Antonio Neri - CEO of HPE - the edge is the "next major disruptor" in the IT industry, as outlined during his opening address at HPE Discover in Madrid. Nine months into the CEO role, Neri said that when he took on the top job, he established three key priorities - customers; innovation and culture. "Digital transformation is happening all around us and increasingly at the edge, transforming every industry and opening new possibilities in a hyper connected world,” Neri said. "There’s a revolution that’s happening with the explosion of data all around us, being generated at what we call the edge. "That will continue to grow. Intelligence and security is built into everything around us, generating data that creates insights and value. "The enterprise of the future will be cloud-enabled and data driven, our purpose and the work that we do, will provide you with an edge-to-cloud architecture to manage and utilise all your data." Neri explained that HPE was addressing three key areas that are holding businesses back and slowing them down, spanning transformation of technology; people and processes as well as economics. "I believe that a strategic partner who can bring all these transformation elements together - technology, people and economics, is the partner that can best accelerate your vision for the future," he added. "I believe HPE can uniquely address all three. "Those that can take action with the speed and agility, using continuous streams of insights and knowledge will win." In June, Neri revealed that the vendor will be investing US$4 billion towards the advanced development of edge products, services and engineering initiatives, covering areas such as connectivity, security, automation and artificial intelligence (AI). During HPE Discover, he also revealed new Edgeline Converged Edge System solutions to help speed the deployment and simplify the management of edge applications. Based on an open platform, enterprises can integrate a broad ecosystem of applications and operational technology (OT) devices for edge deployments. The new solutions include HPE Edgeline OT Link Platform, which is an open platform that automates the interplay between diverse operational technologies (OT) and standard-IT based applications at the edge to enable intelligent and autonomous decision making. Furthermore, the tech giant has also unleashed HPE Edgeline systems management, labelled as ‘the industry’s first systems management solution designed specifically for the edge’ to ensure enterprise-grade reliability, connectivity and security. Specifically, the HPE Edgeline EL300 Converged Edge System aims to provide "resilience against harsh edge environments" for a broad range of industrial deployments. New HPE Edgeline Field Application Engineering Services are also available from HPE Pointnext as a way to help customers plan, build, and customise OT link-based Internet of Things (IoT) and cyber-physical systems. According to research from analyst firm, Gartner, by 2022, as a result of digital business projects, 75 per cent of enterprise-generated data will be created and processed outside the traditional, centralised data centre or cloud, up from less than 10 per cent in 2018. HPE vice president and general manager for converged servers, edge and IoT systems, Dr. Tom Bradicich, added that the new line up enables customers to accelerate the delivery of applications that capitalise on edge data, including enterprise-class management. “We lay the groundwork for a new ecosystem of intelligent edge solutions to drive innovation and growth across industries,” Bradicich said. 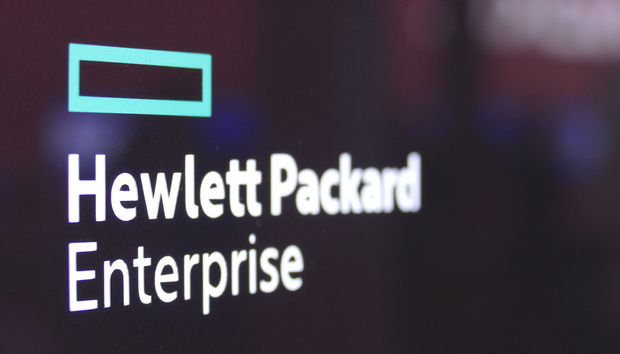 As well as launching new Edgeline products, HPE revealed its collaboration with US-based biotechnology and AI start-up Jungla. The collaboration will see HPE use its memory-driven computing sandbox to Jungla's datasets in an effort to help Jungla accelerate its clinical genetic and genomic tests. Julia Talevski attended HPE Discover as a guest of Hewlett Packard Enterprise.